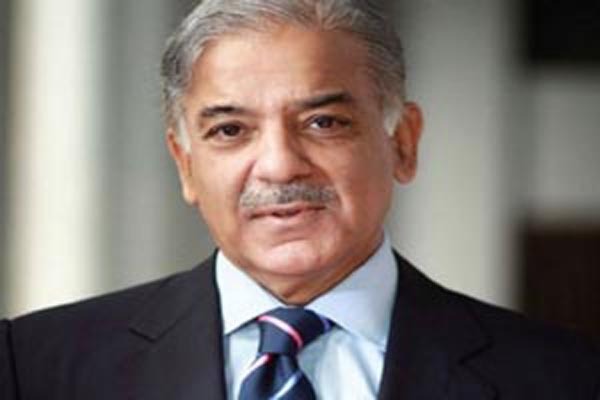 LAHORE, Aug 6 (APP): Punjab Chief Minister Muhammad Shehbaz Sharif said on Saturday the PML-N government put the country on road to progress and prosperity as national economy improved considerably due to its best economic policies during three years. According to a handout issued here, he was talking to a delegation of the PML-N. He said foreign exchange reserves were now at record level and international institutions had acknowledged stable economic indicators in Pakistan. Shehbaz Sharif said that Pakistan’s development and people’s prosperity was priority of the PML-N that was why it promoted politics of public service and values. Conscious people of Pakistan had become aware about those serving them selflessly and those indulging in politics of chaos, he added. He vowed that new records of public service would be set during next two years, and thousands of megawatt electricity would be generated on completion of energy projects, which would help overcome loadshedding and result in industrial and agricultural development and new jobs creation in the country. Under the leadership of Prime Minister Muhammad Nawaz Sharif, when the country is moving towards progress and prosperity, once again those staging sit-in and indulging in protest politics were out to stop this journey, he said and added that those indulging in sit-ins and protest politics had no concern with Pakistan’s development and people’s prosperity. Shehbaz Sharif said that people, who rejected negative politics of protesters, would continue to reject it in future as well. Efforts aimed at creating hurdles in development projects through protests tantamount to open enmity with the people of Pakistan, and conscious people of Pakistan would never allow negative designs of such political elements to succeed, he observed. The Chief Minister said, under China-Pakistan Economic Corridor (CPEC), China was making historic investment of USD 36 billion in energy projects, which were being executed speedily. Completion of development projects by the Punjab government with transparency, speed and quality, he added, was being appreciated in China and use of the term Punjab Speed instead of Shenzhen Speed by Chinese leadership was an honour for him as well as for people of Pakistan. “We will continue completion of development projects by maintaining the same speed and quality in future as well and come up to expectations of the people,” he vowed. Shehbaz Sharif said that there was no room for protests or negative politics in Pakistan, asserting that it was time for unity and consensus, and those creating hurdles in development for their personal interests should mend their ways.